DAVID LE/Staff photo. 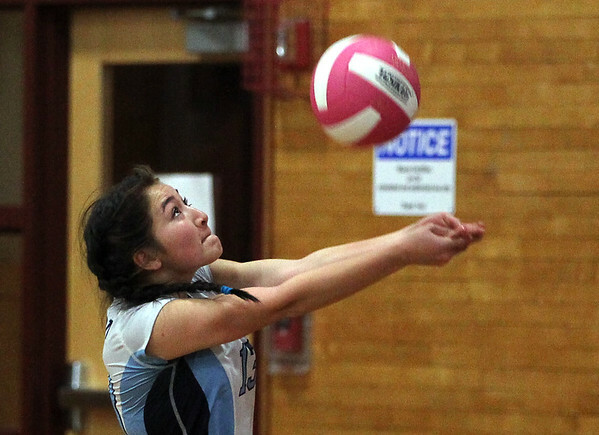 Triton outside hitter Ashley Nguyen bumps the ball over the net against Masco. 10/22/15.